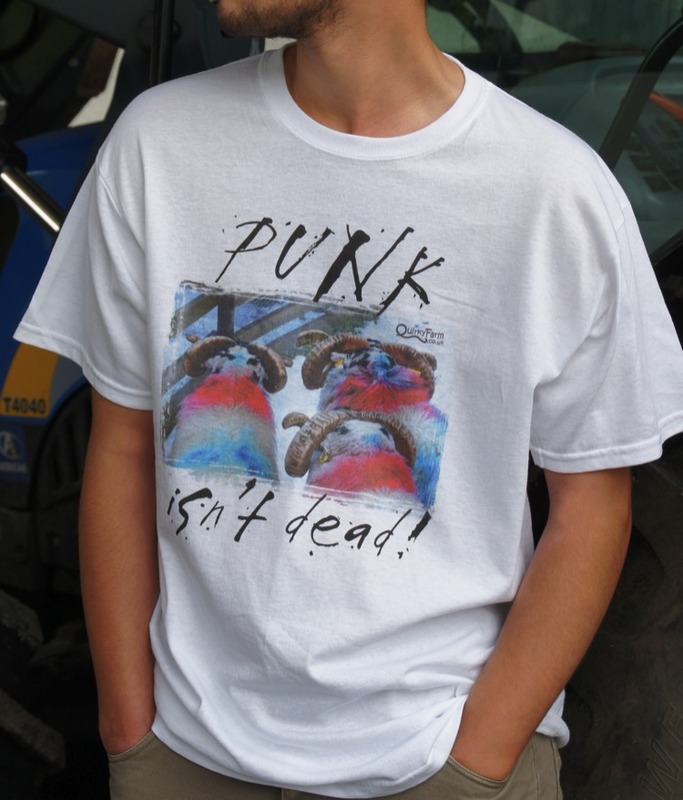 The other stuff is coming soon, but in the mean time we have our first product up for sale; "Punk isn't Dead" T Shirt. 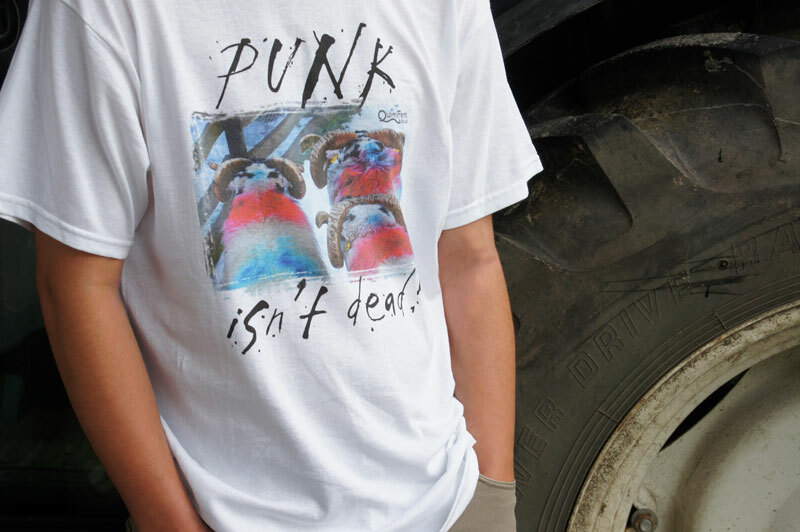 This is a truly unique T shirt with an original graphic and photography by Quirky Farm. 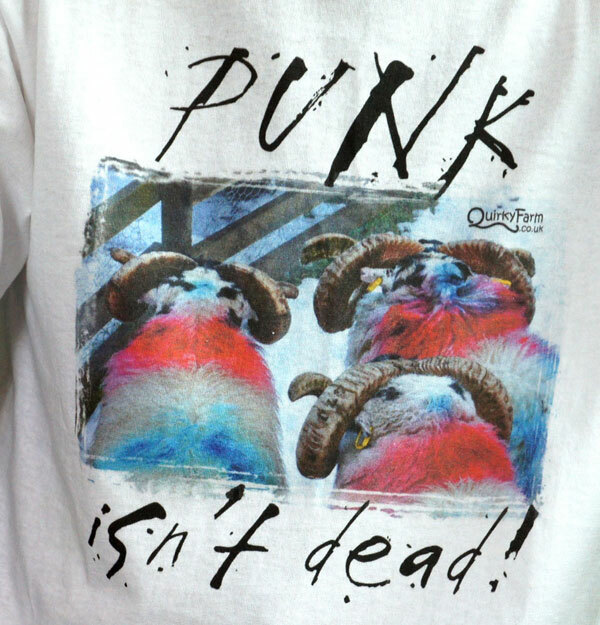 Front: Printed graphic, a group of Scottish Blackface Tups (Rams) with distinctive red and blue keel (dye) on their fleeces. 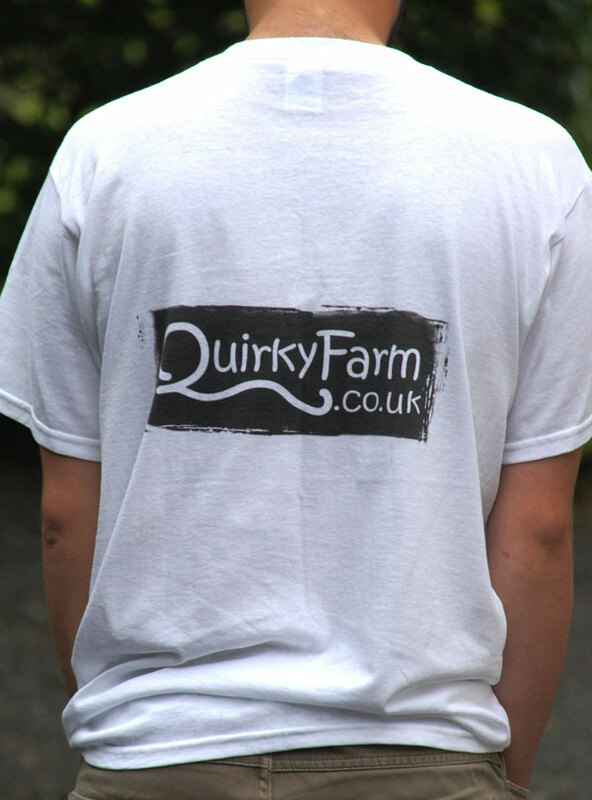 Back: Printed graphic, Quirky Farm logo (optional). We use the best quality materials during printing consisting of Fruit of the Loom and Gildan shirts. Our image printing technique allows us to print high quality, durable images onto any colour T-shirt that will maintain their colour and crispness even after many, many washes. Please note this type of image will only print on white fabric. Our prints use high quality sports film vinyl that is extremely durable, vivid & machine washable. 10% of sales price will be donated to The National Autistic Society.